Mystik, a Florida brand for stations without a brand. Rainbow Food Stores also use this now. Location: Plant City, FL. Taken April, 2004 by Robert Droz. Another Mystik from Robert Droz. 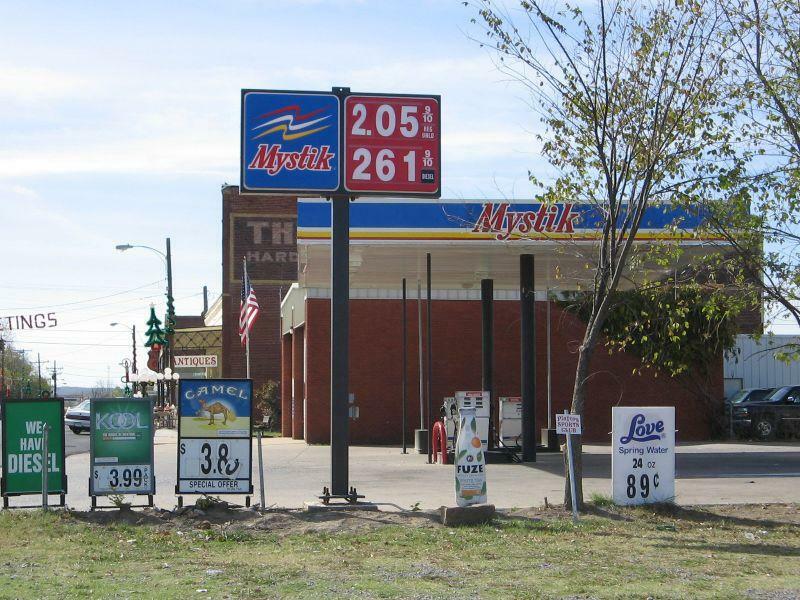 A Mystik station on US Business Route 69 in McAlester, OK.
Taken Nov 2005 by David Aldred. A former Citgo. 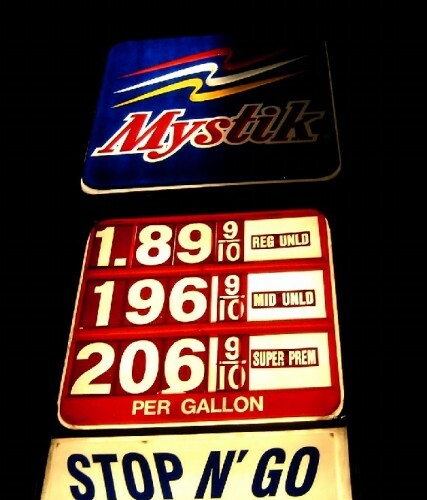 David mentions that Mystik is Citgo's off-brand. Also, this McAlester station is no longer branded Mystik.